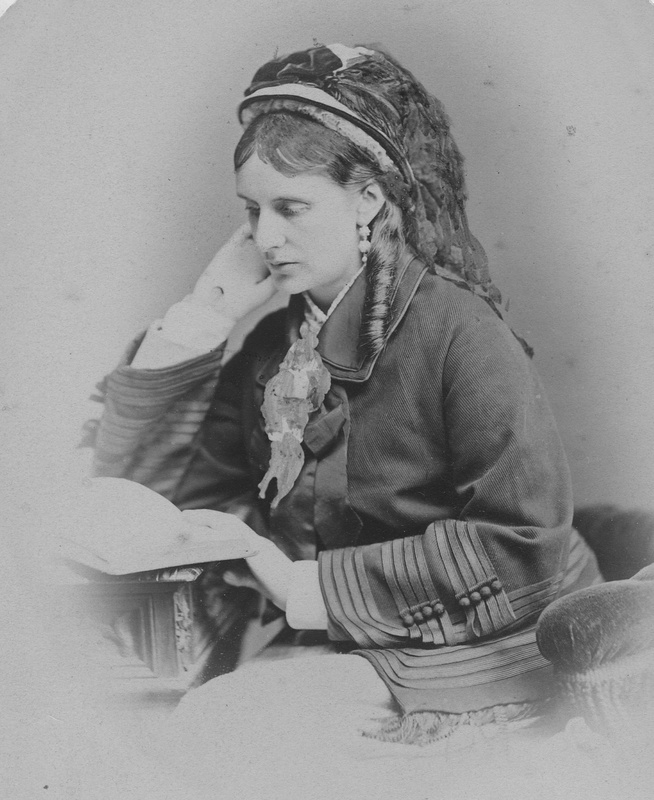 Josephine Butler’s life spans the Victorian age – born in 1828, she was nine when Victoria came to the throne, and died five years after the Queen, in 1906. She was tall and beautiful, with thick lustrous hair which she wore long, in ringlets tied with ribbon or secured with a plait. She was slim, and always dressed with care, choosing tactile fabrics like lace and damask, set off by dramatic beads and earrings. She played the piano with true skill and sensitivity, and loved animals especially dogs and horses. She came from a comfortable family home in the countryside, and was a devoted daughter and sister. She was happily married to a husband who adored her and they had four children. But at the age of 40 Josephine became obsessed with the needs of women who were completely unlike herself. While living in Liverpool, she began to care for imprisoned and ill prostitutes, even inviting some to live in her own home. After the Contagious Diseases Acts were passed, which allowed these women to be sexually assaulted by police surgeons on a regular basis, she went into battle with Parliament, the police and the judges to change the law. This battle consumed her home life, and undermined her physical and emotional health. Many times she collapsed and was confined to bed for weeks. But she kept the campaign going and secured the change in the law. The Ladies’ National Association for the Repeal of the Contagious Diseases Acts, which she led, was the first national women’s organisation to score such a triumph in England. After this triumph she did not retire, but until the end of her life carried on trying to help abused women. Why is Josephine Butler not as famous as Victorian heroines like Florence Nightingale? She achieved as much as Nightingale, probably more. But she was never celebrated by her country, never became a national heroine. Indeed, to many she was the reverse of a heroine, because she fought for women’s rights, at a time when men (with the single exception of Queen Victoria) had all the power. Even worse, she fought for ‘fallen’ women, who were regarded as subhuman by polite society. Prostitutes, she was told, were “a class of sinners whom she had better have left to themselves” since they were the authors of their own destruction. [i] Josephine Butler never gave up, never backed down and forced society to face the sordid details of the abuse she was fighting. No wonder she was unpopular. [i] Benjamin Jowett, letter to Florence Nightingale, quoted E. Moberley Bell, Josephine Butler. Flame of Fire, London, Constable & Co, 1962, p.79.